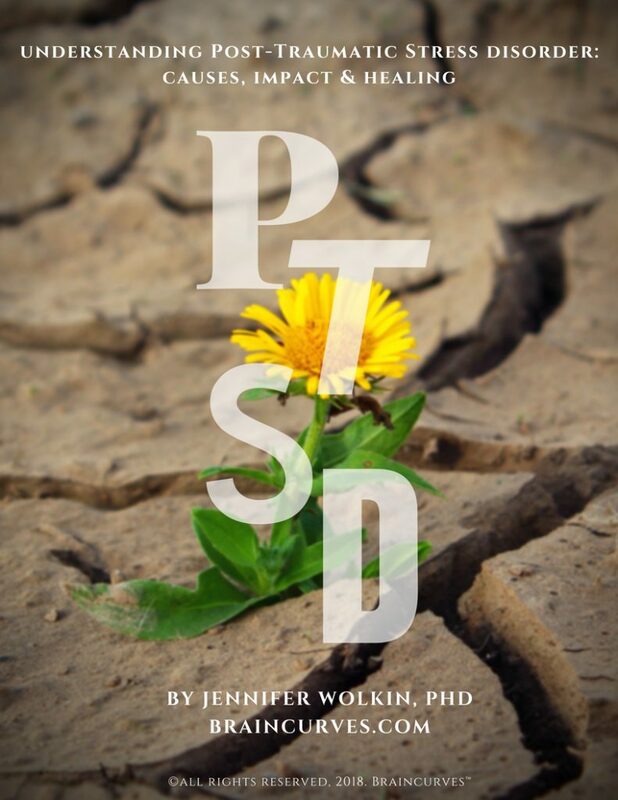 It is my deepest hope that this PTSD Resource Packet will become an invaluable and healing resource for you, your loved ones, your patients/clients, and/or anyone who may benefit as they navigate the tough terrain of trauma. 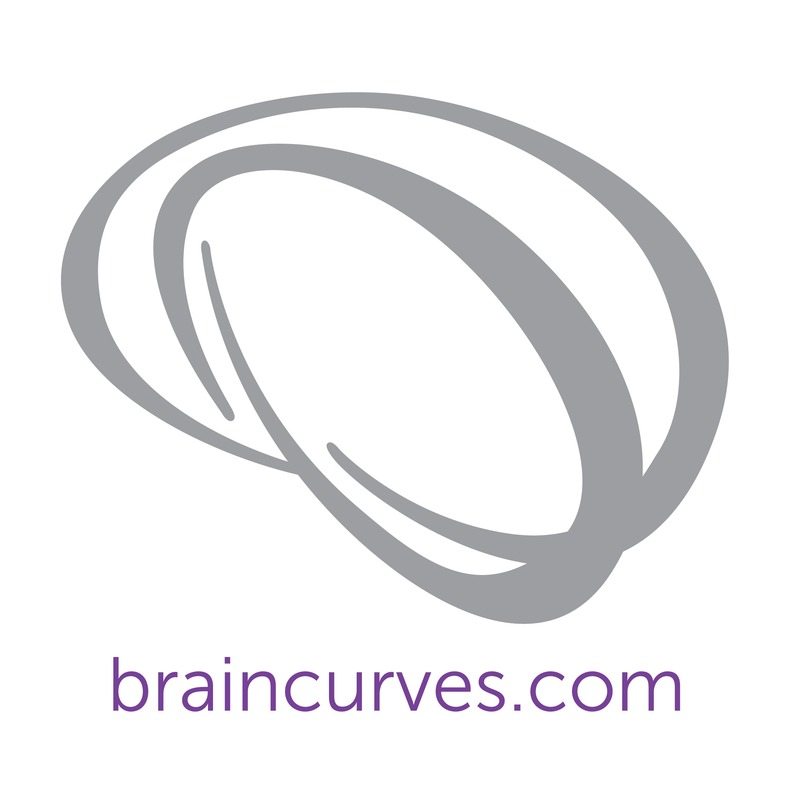 I wanted to create a series of posts on this topic especially for the month of June, which has been designated as PTSD Awareness Month, but it is important to discuss all year long. 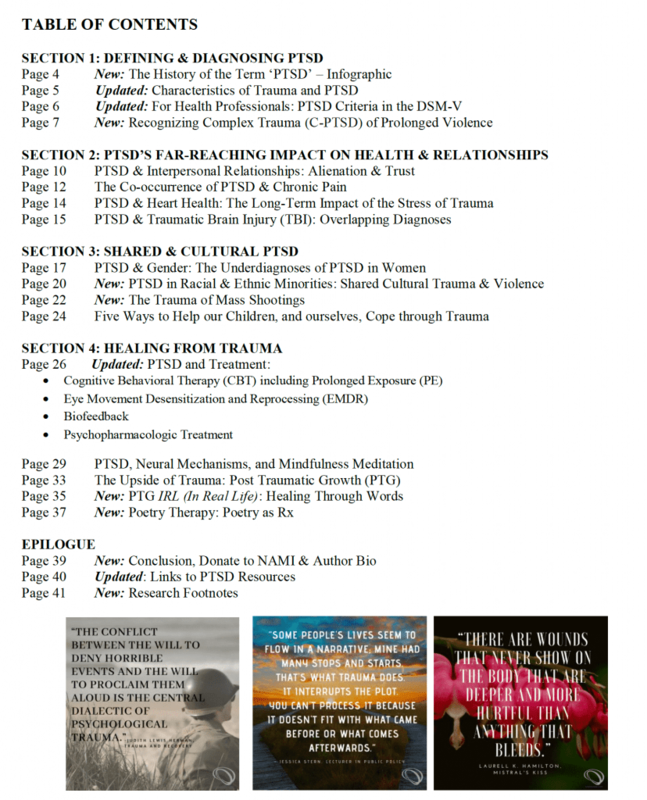 I have developed this series addressing what PTSD is and how it relates to, and impacts upon, gender, relationships, chronic pain, heart health, and traumatic brain injury (TBI). 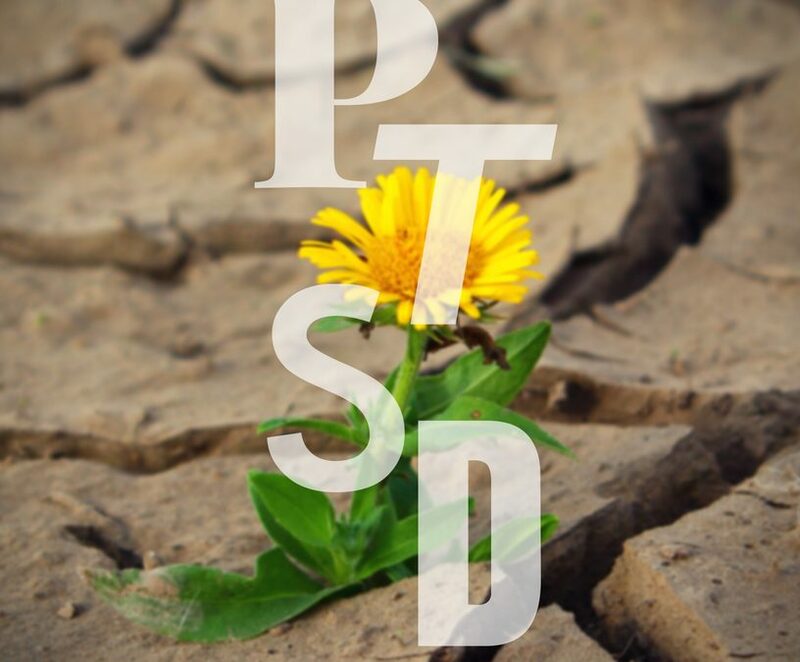 You will also learn about the depth and breadth of PTSD suffering, as well as the prospect of effective treatment and the possibility of healing. This e-book was originally developed in 2016, and I’m committed to revising and updating it annually. I want to acknowledge that 2018 has been a particularly difficult one. In the U.S. we have witnessed a record number of school and other mass-shootings, political violence, the increased recognition of rampant sexual harassment in the workplace, high-profile suicides, and more. These events are traumatic, and while psychologically impacting the victims in more profound ways, we are all experiencing our own collective grief. I humbly ask you to join me in this journey: through awareness and your financial donation, let’s help wipe out post-traumatic suffering. With that in mind, this year I would like to use this resource as an opportunity to help further the research of PTSD and Complex PTSD. Aside from the very minimal production fees, all proceeds from the purchase of this packet will be donated to NAMI – the National Alliance on Mental Illness. This compilation is dedicated to all those whose lives have been impacted by trauma. I write this with the utmost respect for those who have, and continue to, suffer. While PTSD is relentless and pervasive, there IS hope for recovery. PLEASE hold on.